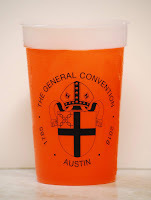 As the 79th General Convention of the Episcopal Church gets underway in Austin, Texas, the Vergers Guild has an excellent location in the Exhibit Hall of the Austin Convention Center. 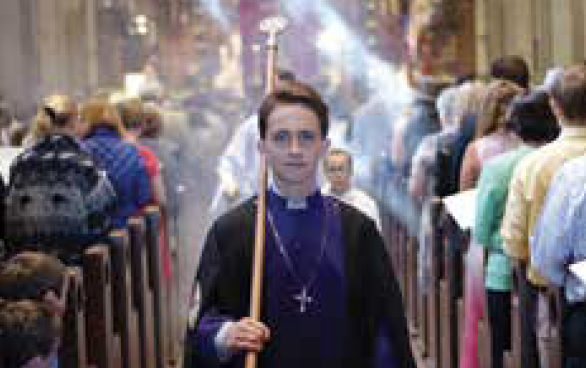 We plan to spread word of the verger ministry to the over 1000 attendees of this triennial. The one minute video above shows the results of a full day’s work yesterday. We have started an online photo album where we will be uploading photos and videos of the event. The VGEC had its first booth at General Convention in 2009 in Anaheim, California followed by 2012 in Indianapolis, Indiana, 2015 in Salt Lake City, and now 2018 in Austin, Texas. 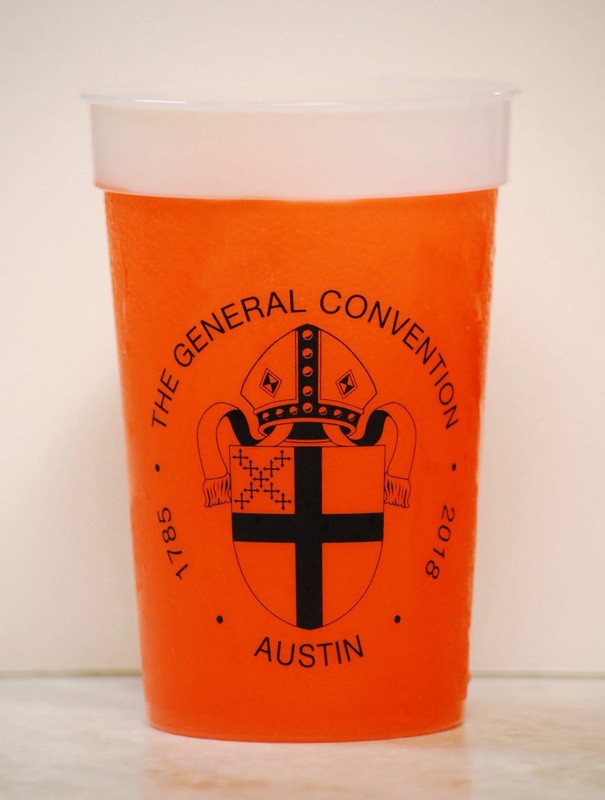 We invite you to tell anyone that you know who is attending the event this year to stop by the booth and pick up an orange color changing VGEC collector’s cup. They can’t miss us - tell them to look for the large overhead “got vergers?” sign. We have put aside a stash of these awesome orange cups for those attending the VGEC Annual Conference in Denver on September 20 to 23, 2018 in Denver, Colorado. The 2018 VGEC Annual Conference is in Denver from Thursday, September 20 to Sunday, September 23, 2018. This conference marks the 30th year that we have gathered together to learn about and explore the ministry of the verger in God's church. The deadline to register is Monday, September 10, 2018. We cannot accept on-site registrations! Fees increase after August 15, 2018! Abstract: Vergers are being well-represented at the 79th General Convention of the Episcopal Church being held in Austin, Texas from July 3rd to July 13th. Jesus-loving Coloradoans and Vergers in Boulder! 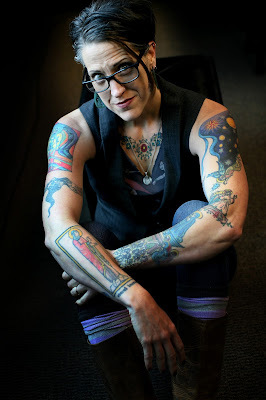 Editor's note: Jennifer is leading the “Young People in Verger Ministry - Not all heroes wear capes and not all vergers wear chimeres” session at the 2018 VGEC Annual Conference on Friday, September 21, 2018 at 2pm in Denver, Colorado. To register, click HERE. On a Sunday, not too long ago, one of my parish’s retired vergers stopped to ask me, “Has the job changed much since you took over?” He asked me just as the bell was ringing and obviously did not expect a detailed answer so I said, “No, we still do most of the things that you remember.” That answer was not entirely accurate. Thinking about my answer and considering our conference theme of “The Church in the 21st Century,” my answer changes. We do still complete many of the same tasks that vergers at my parish have always completed, but there’s more to what we do than completing the same tasks year after year. I work in a church that is just a stone’s throw away from the campus of The University of Colorado at Boulder. Part of our mission is to reach out to the students at the university. Through this outreach I now have a team of vergers comprised partially of college students and recent graduates. Having students and young adults as vergers is wonderful. I strongly encourage you to reach out to young people who may be interested, whether they know it or not! But you will have to remember to make some accommodations. Scheduling, for my team, includes a knowledge of the academic year. I do not schedule student vergers during finals week or other weeks where their attention needs to be on campus. Summer break also brings scheduling considerations as some students leave town or work summer jobs that include Sunday shifts. However, there is more to what we do than scheduling. With these students and young adults, I get to do something that I think is truly remarkable: Pub(lic) Theology. Pub Theology is nothing new, but as a Jesus-loving native Coloradoan there is little I enjoy more than talking about God over a good craft beer. 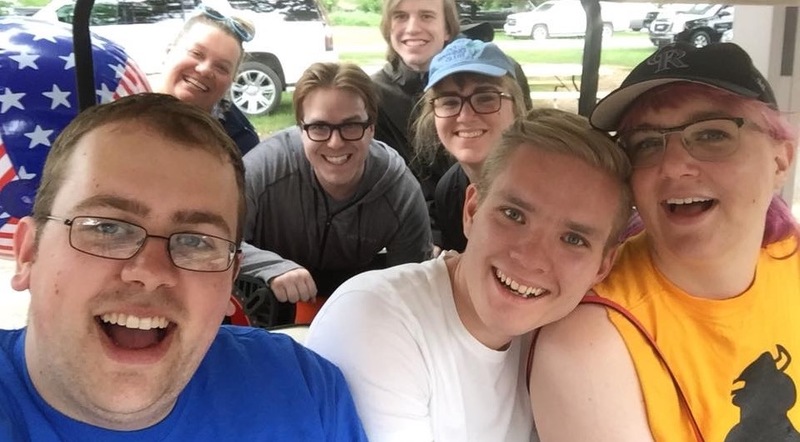 My group started meeting because some of the older students and young adults in my church wanted a place for fellowship and discussion that fit in the gap between campus ministry sermons and Sunday morning. A place where we could ask questions and have discussions and find a little fellowship with people who were in a similar place in life. Vergers now help plan and facilitate those conversations. Planning Pub Theology is not a difficult job, but it is important. We meet roughly once a month in a brewery in East Boulder. The brewery is quieter than most of the restaurants we have tried. You do not have to shout to be heard. I gather feedback and ideas from some of our regulars and pick a topic to research. Recently we have discussed The Seven Deadly Sins, The Seven Virtues, as well as Vocation and the Holy Spirit. I come prepared with ideas and questions, but no answers. One of my other vergers helps plan the meeting by posting the event on Facebook and making sure it is announced in newsletters and bulletins. Hosting these meetings feels similar to the work we do in officiating a Daily Office or serving at the Eucharist. We help create a space where people can be open to something bigger than themselves. 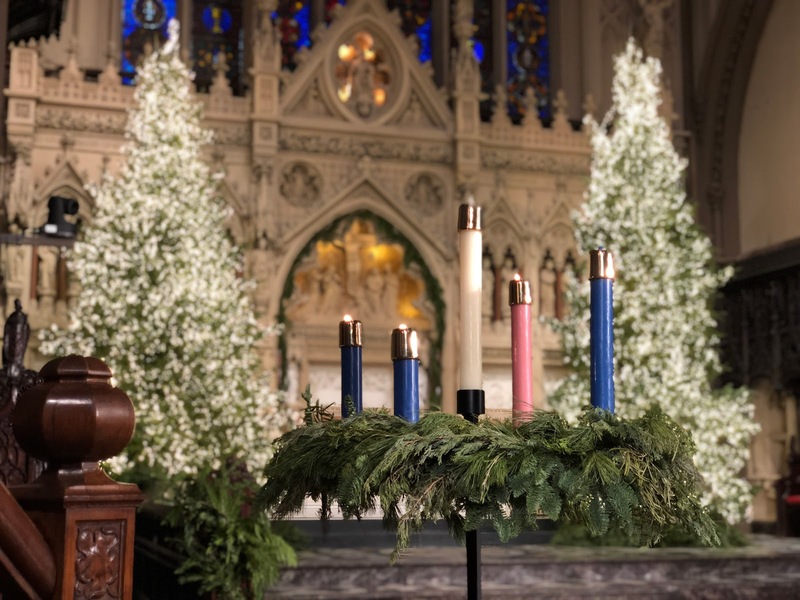 Just as vergers worry about the details of the liturgy so others do not have to, my vergers worry about the research and scheduling so others can simply participate. Just as a verger might guide someone through part of the Daily Office by guiding us through the prayers, we guide others through a discussion. The result, for me anyway, is not unlike when I leave a worship service. I come away pondering my place in the universe and within my community and thinking about how what we discussed can influence the rest of my life. Pub Theology is a place where we can talk about whatever interest us and it also a place where we come for support and fellowship. Together, we have grown a lot while talking about God over craft beer. So to return to the original question, I would stay that my job has not changed much. It is still my job to be welcoming and support people through the service. Now I just get to extend that support and welcome to a brewery in East Boulder. Abstract: Jennifer Carr will be leading a seminar on Friday afternoon, September 21, at our annual conference. Come hear how craft beer, vergers, and Pub Theology fit in with the verger ministry of hospitality and welcome and the ministry of the verger in the 21st Century. Stickers are great give-aways at General and Diocesan Conventions. We need your help! Are you a person of few words? Would you like to put that rare personal trait to work for the Vergers Guild? Are you a person of perhaps too many words, as, ahem, is yours truly? Would you like an opportunity to practice thinking as tersely as possible all in the service of the Vergers Guild? 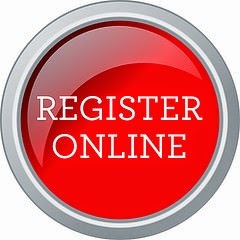 Would you like to win free registration to either the 2019 or 2020 Annual Conference? The VGEC is announcing a bumper sticker contest!! When I was assigned this topic I had some questions to answer. What bumper stickers does the VGEC have right now? That question lead me to the got vergers? department of the Vergers Guild Shop where I found the one got vergers? bumper sticker that we have. Then I wondered about how the got vergers? campaign came to be and I stumbled on a video in VergerTV from 2012 explaining how it was developed in 2011 for General Convention in Indianapolis, Indiana in 2012. Now, in 2018, the guild is looking for new and creative ways to express an aspect or a motif of vergerdom. 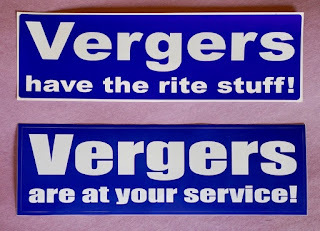 As an example, over the years I have developed and printed several bumper stickers with messaging relating to the verger ministry. I give them away to many colleagues and unsuspecting Episcopalians far and wide. Several people tell me they miss my big manilla envelopes with the blue gifts inside! I have included some examples of what I created, hoping that this might help stir your creativity. Indeed, the VGEC is interested in your ideas and I know we are a creative bunch. We have to be in order to do our jobs as vergers! 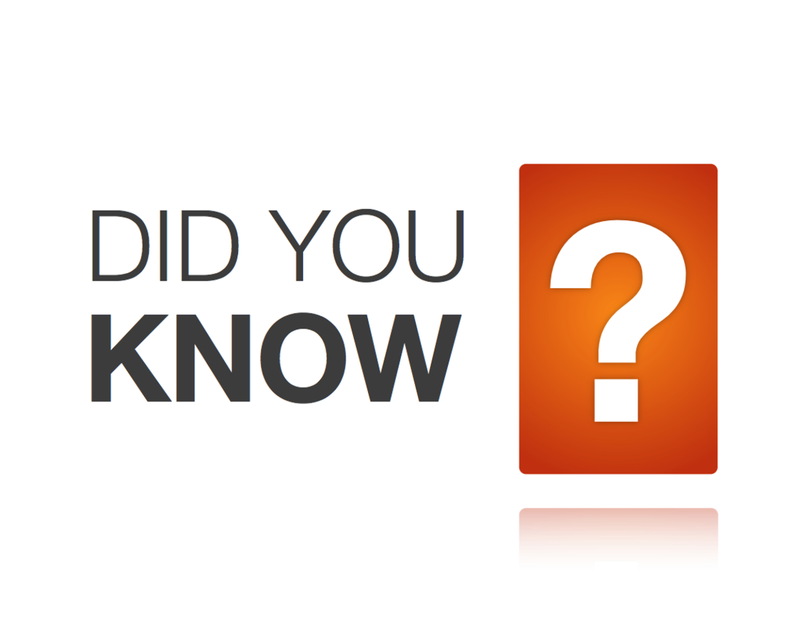 The main guideline for a bumper sticker is that it must be easy to read and digest in a relatively short amount of time. That is the challenge: not to be overly wordy. Submitted bumper stickers may be part of an a new kit of materials for Diocesan Conventions and other events. If you want to play around and do a mock-up like I did, go to Graphicsland at graphicsland.com where you can select a template and start right in. You can also just jump right in and create it on your computer without using a template. Either way, put on your creative verger persona and get to work. Have fun! Who will judge the winning entry? Why WE ALL will! A poll will be presented to us with the top entries. Please mail your bumper stickers to [email protected]. Deadline for all entries is July 22, 2018, 10:00 pm PDT. Winner will be announced at the Awards Banquet in Denver at the 30th Annual Conference on September 22, 2018. Winner agrees to give up all artistic, intellectual, and property rights to the winning bumper sticker selected by vote of the membership of VGEC. Contest is open to all members of VGEC as of July 22, 2018. Winner will receive free registration to either the VGEC 2019 or 2020 Annual Conference (no lodging or meals, only registration). Abstract: Are you a person of few words? Would you like to put that rare personal trait to work for the Vergers Guild? 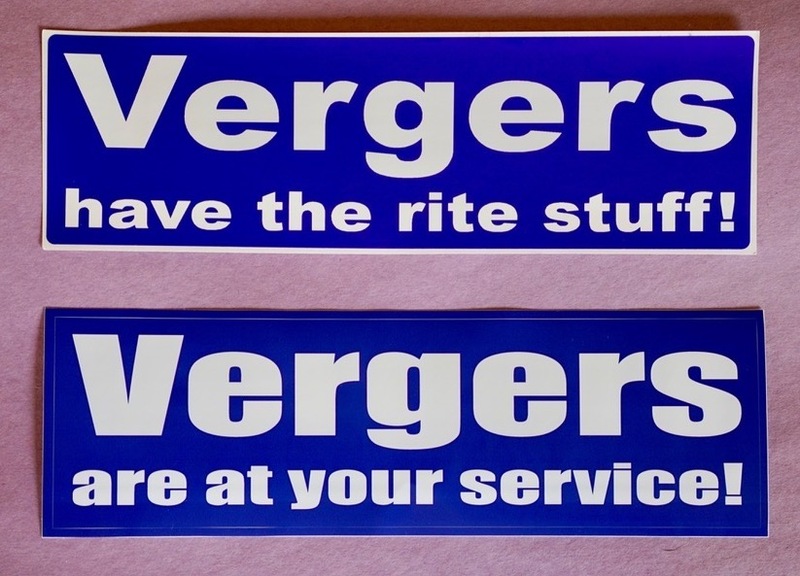 Enter the Bumper Sticker Contest and show us your best pithy takes on the verger ministry. 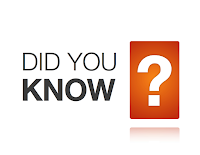 You can win a free registration to either the VGEC 2019 or 2020 Annual Conference! 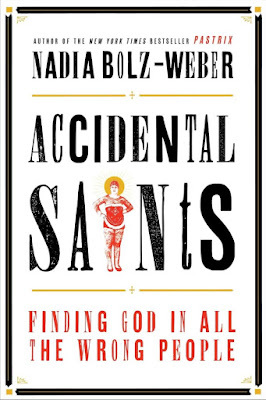 Thank you, Scott Smith, for suggesting that I read this book. His story of failed discipleship is Mark's warning gift to all who hear or read his narrative. We must think of Lent today as a penitential season because we know that, like those first disciples, we would like to avoid the implications to be about the interior rather than the exterior life, about heaven rather than earth, about the future rather than the present, and, above all else, about religion safely and securely quarantined from politics. The above is just one of the themes that run through this book which is clearly and lucidly presented. One other point that Borg and Crossan make—which I will not delve deeply into here; I’ll leave that for you—is the idea is that we sinned, a sacrifice of someone without sin is necessary for atonement, Jesus, Son of God is the one to be that sacrifice. Borg and Crossan totally disagree. It is not by Jesus substituting for them [disciples], but by their participating in Jesus. They must pass through death to a new life here below on this earth, and they can already see what that transformed life is like in Jesus himself. 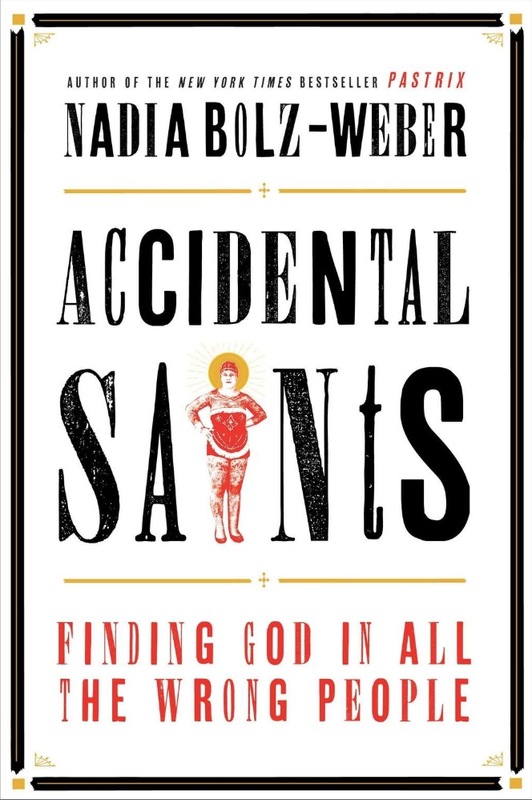 Once Holy Week is over, and we vergers have taken a breath, I suggest that you read this marvelous book. Borg and Crossan lay out their interpretations lucidly and logically. For that writing, I give much thanks. The Last Week will give the reader a firm foundation on which to build an understanding not only about the moving drama of Holy Week, but also a deeper insight into Jesus’ message for us as told by that earliest of gospel writers, Mark. I find the book fascinating. The 2018 VGEC Annual Conference will be in Denver, Colorado on Thursday, September 20 to Sunday, September 23, 2018. Complete information is available online at 2018.vergers.org. Online registrations will be live on Tuesday, April 3, 2018 and a blog post about the conference will come out next Friday! 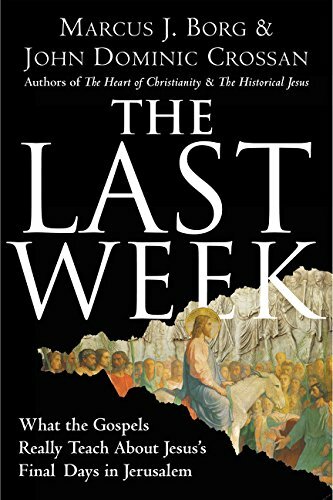 Abstract: Once you have recovered from Holy Week, David Deutsch, volunteer verger at Washington National Cathedral, recommends "The Last Week" by Marcus J. Borg and John Dominic Crossan, as a book to ponder for a deeper insight into Jesus' last week based on the Gospel of Mark.